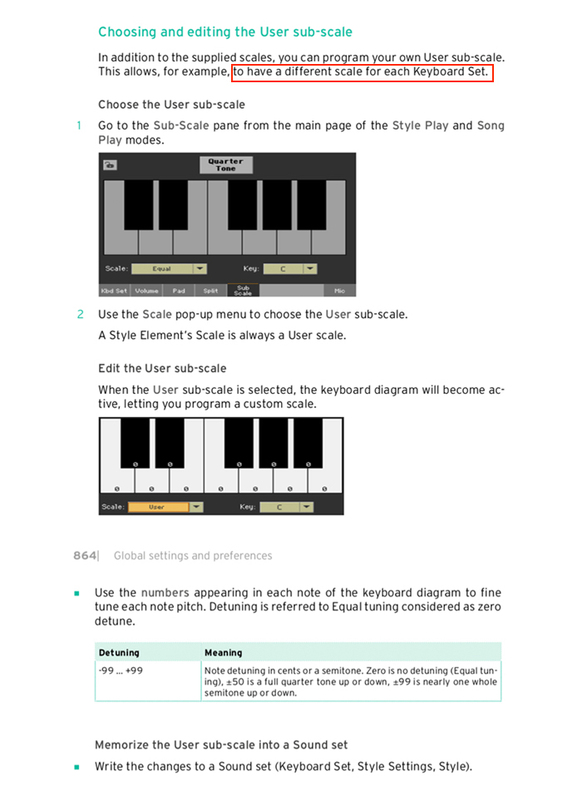 Korg Forums :: View topic - Arranging various sts scale settings for every style ? Arranging various sts scale settings for every style ? Posted: Mon Feb 11, 2019 8:45 pm Post subject: Arranging various sts scale settings for every style ? after changing between styles, all the scale settings must be saved and be different. Posted: Tue Feb 12, 2019 5:26 am Post subject: Re: Arranging various sts scale settings for every style ?